Well, the reindeer got so silly, they started making up Christmas songs. But not just any Christmas songs. They changed the words to Christmas songs everyone already knows. They changed the words of those Christmas songs into “animal”. Here are a few lines from some of the songs the reindeer were singing. Can you guess what these four songs really are? Its kind of a puzzle and a brain teaser too! I think I have a North Pole brain freeze after listening to those silly songs! Ho! Ho! Ho! P.S. Do you like silly Christmas songs? Did you like the reindeer’s silly “animal” Christmas songs? Leave me a message if you know what the songs really are or if you can think of other silly songs. Or, scroll down to see what others have written! The elf songs r funnyLOL LOL! Santa can you tell me what year was you born in and do you have a brother and do you have a elf called Buddy. Dear santa always new you were real because you always bring me presents and you eat all the cookies and by the way I love your wonderful songs!!!!!!!!!!! i cant think of eny sorry……..i wish you a merry christmas i wish you a merry christmas and a happy new year!!YAY!!! number 1 is grandma got ran over by a reindeer.number 2 is we wish you a merry christmas. number 3 is oh christmas tree.and i don’t know what number 4 is? santa can get my elfs back PLEASE!! i have been whating my elfs back sents i sent them they are fun to play with they are soooo carzzzy i love them and i love you tooooooooo!!!! I REALLY LIKE THE SONGS, SO CLEVER!! The first one is “Grandma Got Run Over By a Reindeer,” the second one is “We Wish You a Merry Christmas,” the third one is “O Christmas Tree,” and I don’t know what the fourth one is. YOU ARE THE BEST.I LOVE EMAILING YOU. i love the way you give us presants don’t stop please you are my whole world. Someday on cristmas can you come vist our house early in the nigt of course.Send me a e-mail soon okay.Love you see ya in December…i think. those songs are so silly. Santa claus. Did u like my song maaaaaaaaaaaaaan? the fist song is rudoph the red nosed reindeer . the second song is the 12 days of christmas. the third song is oh christmas tree. and the fourth one is we wish you a merry christmas. can you make more please thanks santa reindeer elfs and mrs.clause love shyanne. i love those songs their realy funny. And guess what last week I got 5/5 stickers every single day of the week. lots of love from Jess. And built LEGO Harry Potter Malestrom. did you like my song? i have a silly christmas song. oh a cat waket down the hill all nite bla bla bla baa cats are bad bla bla bla bla cats are nice bla bla bla!!!! silly rite? Santa I am very nice this year. i know what all of those silly songs really are o christmas tree, we wish you a merry christmas , grandma got run over by a reindeer. The songs are awesome! You should make a lot more songs, please. I love to sing and make up song too! Thanks bye. The songs are awesome! You should make a lot more songs, please. Thanks bye. omg i am so exited for christmas only 10 days to go!!!!!!!!!!!!! Hi, I really like the songs we guessed all of them but the first one. They were really cool. Tell the reindeer to keep making them up and that they are AWESOME!! Those Christmas songs were great!!!! Ilove them!! I think number one is Grandma got ran over by a Reindeer. No. 2 We Wish you a Merry Christmas. No. 3 O Christmas Tree. No. 4 Hark the Herold Anglds sing. they are silly songs aren’t they!!!! hi “santa” i hoe you can bring me the things that i want thank you, kirsty. oh christmas tree was one of them.. my son says that it was really funny for me to read it two him and lol. tell them they did great job of it! Those guys are so silly! I liked song #3 the best!!!! what do you want cristmas. Hi Santa I hope you can bring me what I want for CHRISTMAS. #4 is I wanna a hippopautamus for Christmas Those are really tricky! Santa, how many hours does it take you to get around the whole world in one night? I know more about christmas than any one except you. You pause time on christmas eve to past out all presents to everyone. HA HA These are so funny! Dear Santa I really liked thoze silly Christmas songs because I think there really funny. are funny say hello to all of your raindear for me see you. I love your sily Christmas songs! Can you make more? All of the silly animal songs should be on TV! Can you make one that says something about fish? 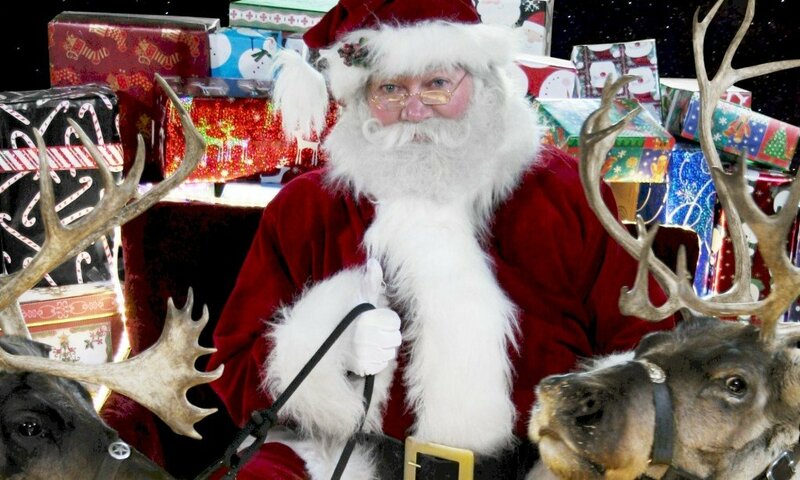 hey santa i love your reindeer Rudolph the best!!! :ps Ihave a reindeer Girl named Clarice and been good too she sould be on the nice list +She said hi +She said good manners+ good words+She sang you a song here it is tell Rudolph to hear too and my deer is 1000%good!!!!!! your best friend Brianna!!! Hi santa it’s me again i like your blog i am going to tell my teacher to go on here so my whole class can write to you oh and my birthday was December 11,2010 that was the day we had breakfast with santa and it was awsome! Ho Ho Ho Santa you are amazing.How do you go all around the world in one night? Hahaha those are so funny!!!! You really rock Santa!! 10 more sleeps until Christmas! santa i want a puppy, pony, telli, i phone 4, x box kinect, dsi xl games, chocolate i will be at my usual house. DONT LEAVE ANY THING OUT OF THIS LIST OR MY DAD WILL HAVE A WORD OK? Hi Santa!!!!! i am ready for you to come to my house!!!!!! I think the reindeer Christmas Songs are very funny! I like Rudolph the best! mmmeeoooww! and a happy new year! you rock santa!I cant wait til x-mas! you are so cool . hope i see u on christmas eve. christmas is here let’s do good things and make some toys and fix things christmas is here so be good and i will make you something too!!!!!! Next PostNext Name The Baby Christmas Elves!